On the holiday of Passover, we are commanded not to have any Passover is forbidden, even after Passover ends. This applies even if the chametz is locked up and out of sight. Click here to sell your Chametz online.  To order special Handmade Shemurah matzah for your seder please email rabbi@ChabadKennesaw.org.